It’s easy to think of baby carriers of a convenience – and they are. But modern-day experts have also confirmed what our ancestors knew many centuries ago: wearing your infant snugly as you walk around reinforces the all-important bonding experience between you and your baby. Tiny ones love the reassuring feeling of comfort when snuggled closely to your chest, older infants are fascinated when they can be worn facing outward to see and discover the world around them, and toddlers are happy when they’re able to ride on your hip or back. But yes, they’re also quite convenient, particularly since so many variations of baby carriers and baby slings are now available. The best and most comfortable positions for carrying infants and toddlers change as babies grow, and some of the newer carriers on the market are versatile enough to accommodate all of those positions while eliminating the need to continually buy new ones throughout a child’s development. Many women believe the best baby carrier is one that does “quadruple duty,” initially holding a small newborn facing in, then allowing the baby to face outward or on mum’s hip, and eventually letting the child ride piggy-back. There are also major differences in the way carriers and slings are constructed. Support and comfort for the child is naturally important in that regard, but it’s equally crucial for the wearer. Some are easier to slip on and off than others; wraps, in particular, will often come with a learning curve. Some are easier on the wearer’s back than others. We’ve considered all of those factors and many more in our baby carrier reviews, to help you decide which type and model is best for your needs. Before going any further, it’s helpful to understand the three basic categories. upright position and can be either soft-structured (sort of like a backpack, secured with buckles and traps) or mei tais (an Asian-style option that combines a fabric wrap with shoulder and waist straps, but no buckles). These are the easiest to manage and wear and usually have extra features like pockets and adjustable seats, but because baby is usually worn further from the caregiver’s body, most front carriers don’t provide all of the “skin-to-skin” contact available from wraps. Many also can be used as hip or back carriers. Slings and wraps primarily rely on a long piece of fabric which snugs the baby to the wearer’s body. 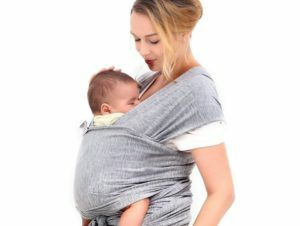 Slings go on in seconds while wraps are more complicated; there are an infinite number of ways the fabric can be wrapped to accommodate different sizes of infants and carrying positions, and the “extra fabric” that isn’t wrapped around baby can be used as a sun shade or blanket. Most use no hardware, although ring slings do have a pair of rings through which the fabric can be threaded and secured. Baby backpacks are primarily meant for toddlers rather than infants, and they’re quite similar to front carriers except that they have solid metal frames. They provide the structure and support needed to carry children weighing 16 kg or more for longer periods of time than would otherwise be possible. You’ve probably noticed there are distinct alternatives within those major categories, which means the factor that leads us to believe a product is the best baby sling may not even be applicable to a soft-structured one. We’ll flesh the differences out further for you as we move through our baby carrier and baby sling reviews. The four considerations that we believe are most important do apply to all carriers, though: safety, life span, ease-of-use and support. The first, the safety of the sling which will be securing your baby, obviously tops that list and doesn’t need to be explained. Life span, in this case, doesn’t necessarily refer to how durable a product is and whether it will wear out; it reflects how long you’ll be able to use it. Older models (and some very good current ones) are only useful for newborns and young infants, and have to be replaced by a different type after a few months. The longer life spans of carriers which can do the triple- or quadruple-duty we mentioned earlier make them particularly desirable. Ease-of-use is sometimes ignored by buyers until it’s too late. A mum is usually dealing with the fatiguing combination of everyday life with an infant and not enough sleep. The last thing she needs is to have to watch a video or read an instruction manual just to figure out how to put on a baby carrier – and some models really are complicated enough that they can’t be properly worn without directions and practice. Admittedly, all wraps will take some time to master, but even in that case we’ve looked for ones which are easy to figure out. Our last criterion involves the support a carrier or sling provides for both baby and caregiver. The best models allow an infant to contact or be close to the top of the wearer’s body, while providing plenty of support for her back and head and a wide base for her rear end. They also provide enough shoulder padding for the caregiver’s comfort, and soft-structured ones will have wide straps and a waistband that minimize potential back strain. Off we go – here are our reviews. the best-selling baby carriers for years, with millions of people swearing by it. The one big criticism of the Original has been that it is only suitable for infants up to the age of six months (or about 11 kg), since it is simply a front-carrying model with a narrow bottom that’s too small for larger babies. The new One Air takes care of that issue. 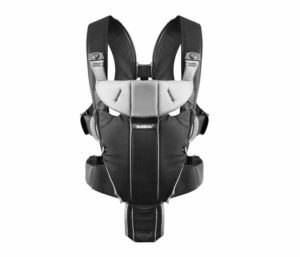 It’s a four-way, adjustable option with one back and three front positions, along with a wider bottom for baby and thicker shoulder and waist straps to make things more comfortable for mum. This new BABYBJÖRN still provides the easy use, outstanding design and exceptional head support for infants the company is known for, and the durable mesh fabric allows for ample air circulation and cleans easily. 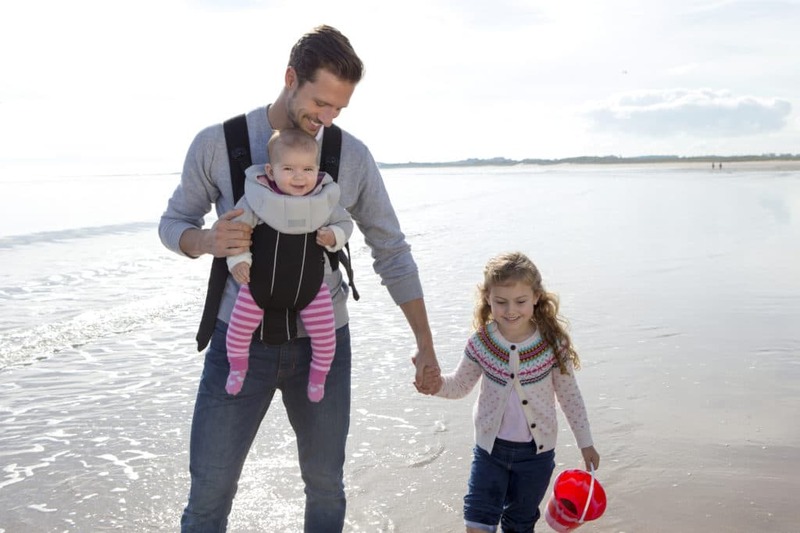 The BABYBJÖRN One Air is a brilliant soft-structured carrier which can last you from birth all the way up to age three and is the best baby carrier, UK or anywhere else. last you all the way through your child’s toddler years, but it is still a terrific choice for infants from birth through six months or so without the extra cost of the One Air. 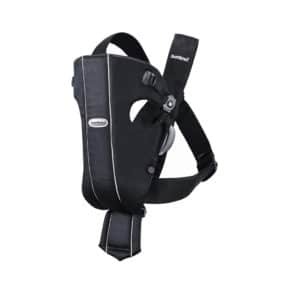 Its ease of use is outstanding, it’s built so baby is positioned closer to the adult’s chest and head than with any competitive model, and head support is exceptional. As long as you don’t overtax this BABYBJÖRN by using it beyond its recommended limits (11 kg) the ergonomics and comfort are fine for the caregiver, and the Original’s organic cotton material is comfortable and breathable for its very important passenger. noteworthy for its comfort and ease of use. The Funki Flamingo is made from a 95% cotton/5% spandex blend which makes it stretchier and more forgiving than pure cotton, so it is easy to maneuver into the “right” position for your back and upper body comfort while still being extremely supportive and secure for your baby. It’s also shorter than most wraps, so there’s less of a learning curve when first using the Flamingo and less of a struggle with excess material while putting it on. This wrap is machine washable, it’s rated up to weights of 16 kg and the grey colour won’t embarrass Dad, either. market made by BABYBJÖRN. 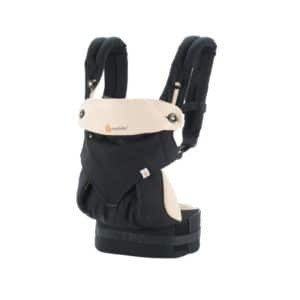 The Miracle is a front-carry model similar to the Original, but is large enough to handle your baby all the way up to 15 months (in facing-out mode) and has additional lower lumbar support via the waist band to provide extra comfort and support for the wearer. The baby’s position can be adjusted once she’s older so she’s not as close to your head as when she’s an infant, and the Miracle is suitable for hip carrying as well. All of the paediatrician-approved safety features remain the same as on other BABYBJÖRNs, and taking the Miracle on-and-off and washing it is a breeze. the same great soft-structured One Air carrier we’ve already reviewed but it’s a metallic grey colour instead of black, which some parents may prefer because of its greater heat-reflection characteristics – or simply because they think the grey is prettier. the 360 as a “front carrier” because it is really a four-way model, suitable for use in both front positions and as a hip and back one, all the way up to age three or 15 kg. 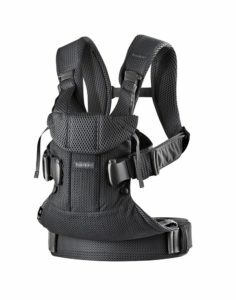 Its construction and security are just about on a par with the BABYBJÖRNs, and some parents who’ve written Ergo baby carrier reviews say they’ve experienced a little less back strain with the 360 because the extra-wide Velcro waistband distributes more weight to the hips than do BABYBJÖRN models. The width of the seat adjusts easily (with buttons) to accommodate different sizes of baby bottoms, and the SPF 50+ extendable back panel is a nice touch. The Ergobaby is a solid alternative to any of the BABYBJÖRNs. When is a sling much more than a sling? The NimNik is the best baby sling we’ve found because it goes on easily and comfortably like a regular front-facing one for older infants, yet the top part of the carrier can just clip off to turn the unit into a comfortable hip seat for toddlers. It’s a wonderful design, and comfortable for the wearer as well with thick, padded adjustable straps designed for strong lumbar support. The NimNik is also built to be used as a baby backpack for toddlers, if you want a break or aren’t fond of the hip-carry position. here’s another version of the BABYBJÖRN One Air, but it features (as you’ve certainly guessed) an attractive denim and grey design for a casual look. As for the specifics? You’re well aware of our feelings about the One Air – we love it. only for babies who can hold their head up by themselves and are able to face front. The Original Baby Wrap is the best sling for newborn infants on our list, because it’s a four-way wrap that can be positioned to have babies facing inward with their head comfortably resting at the top of mum’s chest. Front-facing, hip and rucksack sling positions are also easily accommodated by this soft 95/5 cotton/spandex blend sling, which can be put on and taken off in just seconds. wrap with no buckles, clips or rings. It is longer than the others in our reviews, but with a little practice putting it on (the included DVD helps with that) it will be invaluable as a newborn, infant or toddler carrier for those who prefer the closeness that only a true baby wrap can provide. It can be used for any carry position once you’ve figured out the proper ways to set it up, and is great for caregivers who’ve experienced back issues from other types. You’ll either need to buy new ones several times as your infant becomes a toddler, or start with a four-way model able to accommodate your young child as she progresses through the ages when she still is able to be carried. 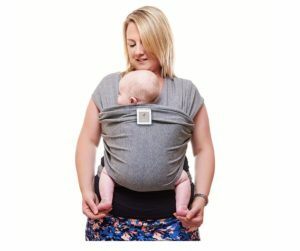 You also must decide which style works best for you, choosing between slings, wraps, soft-structured carriers or backpack models; the somewhat-complicated balance between ease of use, closeness to baby, support and versatility means that the best baby sling will be different for every parent. 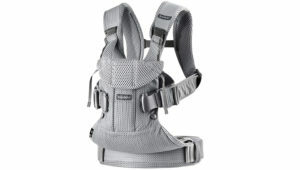 This buyers’ guide and collection of baby carrier reviews should point you in the right direction. All of the products we’ve listed are safe and provide excellent support for your precious cargo. From that point forward, the choice is up to you.